Sorry if this ruins your day, but today marks a movie milestone. 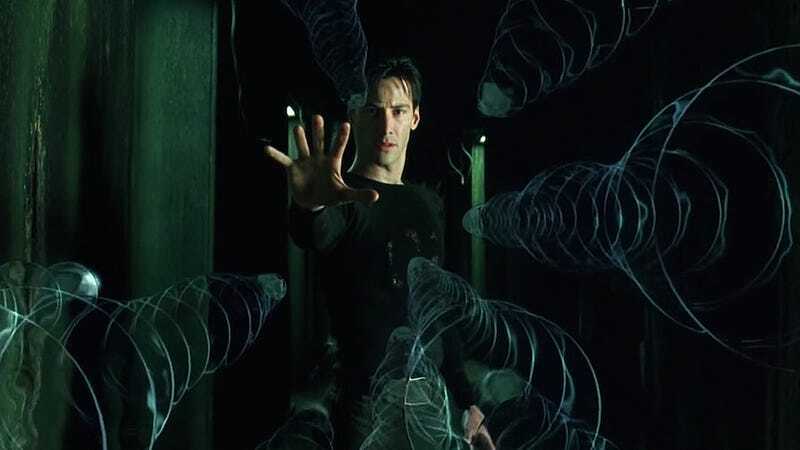 Get ready to smell old, because it’s been 20 years since The Matrix. Yep, you officially smell like dust and abandoned mansions because Neo was on screen two decades ago! It might seem like just yesterday when you first saw the Wachowskis’ sci-fi blockbuster, but it’s actually been a fifth of a century! The acrid stench of medicinal creams will waft from your body as you remember Morpheus offering the red pill and Trinity leaping between rooftops, way back then when you smelled so young. You used to think you would smell youthful forever, like baby oil and strawberries, but time is as relentless as Agent Smith, and now you smell like a 19th-century shipwreck. Happy 20th birthday to the The Matrix, but unfortunately, this anniversary is a stark reminder that you now smell like antique furniture. If only bullet time was real so you could slow down how quickly your smell ages. Sadly, that sci-fi masterpiece you watched as a kid is now almost old enough to buy alcohol, which is just further proof that you’re only going to smell older and older over time, until you eventually smell dead. Sorry to be a bummer!